You have an idea. Now, how to share it to the masses? Be ready. Be relevant. Be remembered. Danielle Smith led this breakout session. It is time to protect your writing process. your thoughts are your raw materials, under constant barrage of distractions. Twitter! Facebook! Instagram! For the love of all the glittery, Pinterest! Imagine what you would create if you secured uninterrupted thought. Megan Jordan leds this session. What are your current projects? You probably have more than just one like your own blog, contributor gigs, consulting and life. First thing you need to do is TURN OFF the push notifications. The ones on your phone, your tablet, your computer. A notification is anything that makes a noise or pops up, often times they are email, Facebook and calendar. What are some of your obstacles to sitting down and writing a blog post or editing a video? These usually are small kids at home, work, school volunteering or sports. It is time for you sit down and write goals. First, focus on short term goals like traffic goals, engagement goals, invitations to events, landing a column or regular writing practice. Next think about long term goals, such as support family with blog income, secure a literary agent, publish a book or create consistent long-term storytelling material. Now ask youself, how long would you ideally like to write each day? How much would you like to produce each week? Now focus on your current projects first thing in the morning before multitasking. Set boundaries in your daily routine. First, check email or check twitter in the morning. Next, focus on the priority task in your current projects. Do this task for at least 30 minutes. Give yourself a break – maybe tend to one of the distractions for 15 minutes. Go back to the original task. Repeat. Your time is exponentially better spent focused, in uninterrupted thought, on your prioritized project. 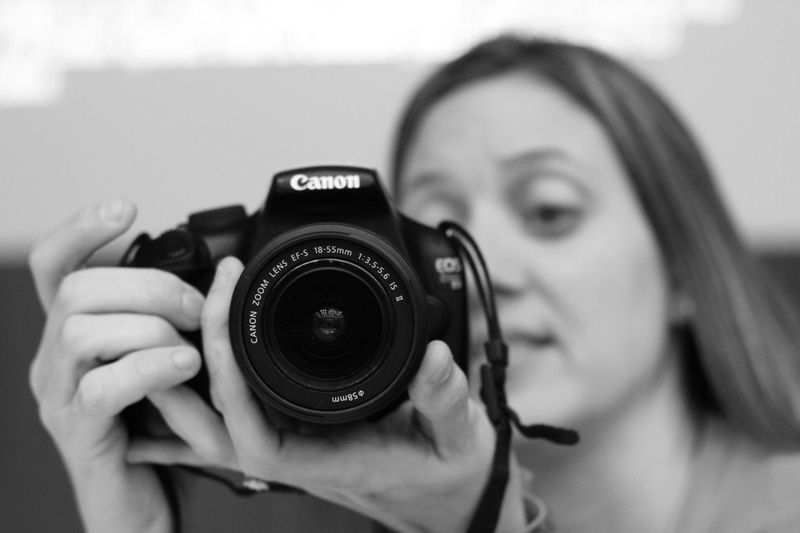 You have a DSLR, now what? 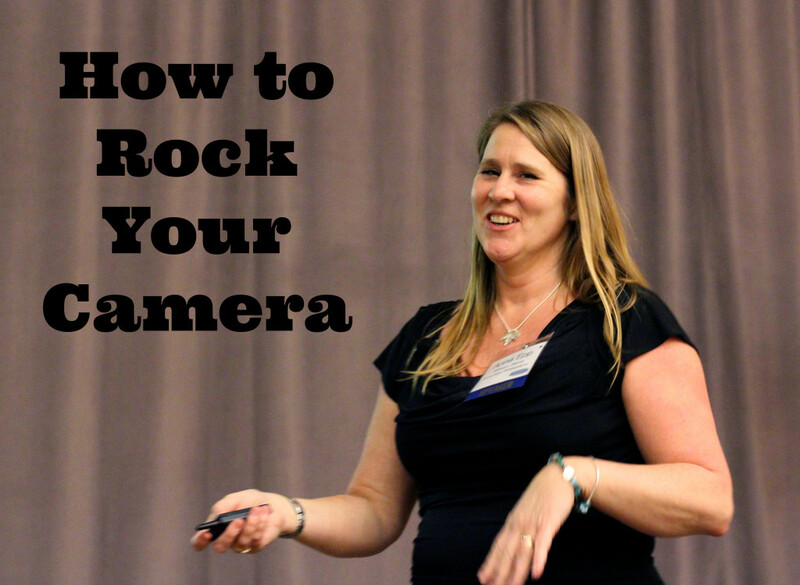 Here are some tips from moving your camera settings from automatic into manual mode. This session was led by Anna Epp. ISO. ISO measures the sensitivity of the image sensor. The lower the number the less sensitive your camera is to light and the finer the grain. Higher ISO settings are generally used in darker situations to get faster shutter speeds (for example an indoor sports event when you want to freeze the action in lower light) – however the cost is noisier shots. Aperture. Aperture is “the size of the opening in the lens when a picture is taken.” In most landscape photography, you’ll have a small aperture settings (large numbers). This ensures that from the foreground to the horizon is relatively in focus. On the other hand in portrait photography, it can be very handy to have your subject perfectly in focus but to have a nice blurry background in order to ensure that your subject is the main focal point and that other elements in the shot are not distracting. In this case you’d choose a large aperture (small number) to ensure a shallow depth of field. F-stop needs to be in the middle or to the right. Shutter Speed. Shutter speed is “the amount of time that the shutter is open.” In most cases you’ll probably be using shutter speeds of 1/60th of a second or faster. This is because anything slower than this is very difficult to use without getting camera shake. Camera shake is when your camera is moving while the shutter is open and results in blur in your photos. 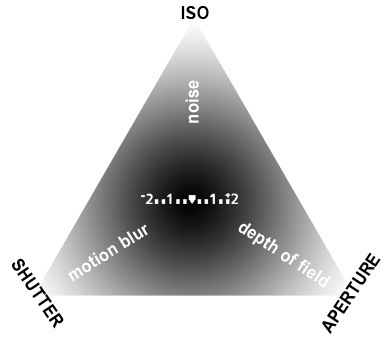 Priority Modes.Aperture and Shutter Priority modes are really semi-manual modes. Aperture Priority Mode often uses a symbol of “A” or “Av” to indicate it’s selected. Shutter Priority Mode often uses a symbol of “TV” or “S” to indicate it’s selected, and it best used during soccer games, waterfalls and other action shots. Composition. The rule of thirds states than an image is most pleasing when its subjects or regions are composed along imaginary lines which divide the image into thirds — both vertically and horizontally. Finding the Light.When it comes to getting accurate colors, nothing is better than nailing your white balance settings right on the head. If the white balance is even slightly off,it can produce a highly noticeable bluish or reddish tinge. It can enhance the appeal of clouds or night time photography. Content marketing is the number one strategic marketing focus for brands and agencies. Writing for the web is different than for your blog. This session was lead by Shelly Kramer. What does your schedule look like? 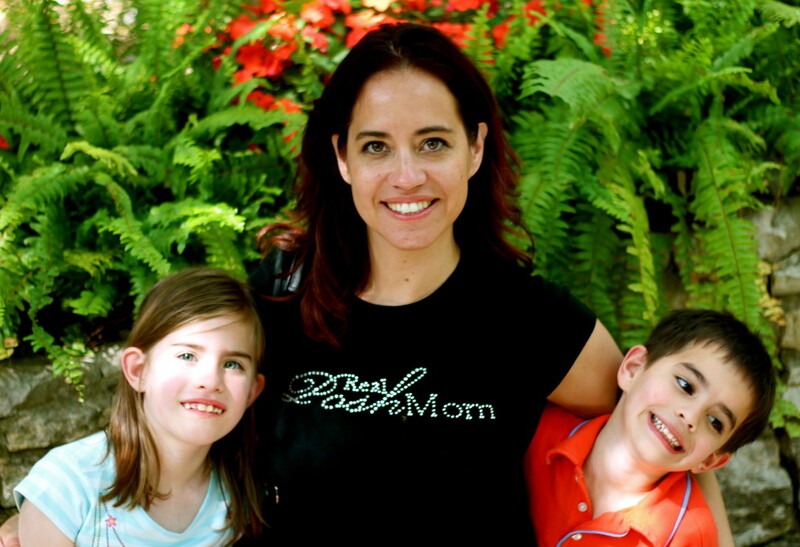 Want to find me during Blissdom – be sure to send me a Tweet @RealPoshMom and I’ll do my best to find you. If you won’t be there and want to see what I’m learning, you can follow my hashtag #PoshBliss. I am looking forward to rooming with three new friends, Amy Pelkner, Jennifer of The Newlywed Pilgrimage and Megan of Fitspiration For Moms. If you’re attending a convention or a conference over the next couple of months, you might want to prepare and set some goals to accomplish. 1. RESEARCH. Check the agenda for the conference. Highlight sessions that you don’t want to miss. Start following the hashtag for the event. Follow the people who you have started a conversation with online. Also, see who will be sponsoring the event. Start connecting with these brands before the event. Finally, make a list of people that you’d like to meet. Visit their blogs and read what is happening in their lives. This is great to know, so you have a conversation starter. Lastly, if possible, start saying hello to people on their twitter and Google+ streams. 2. PREPARE. Write a few of your best posts that really represent your mission statement for your blog leading up to conference. 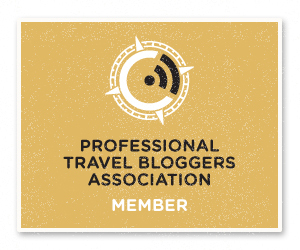 The likelihood of someone reading your blog right before or during the conference is high. This will also help you when sharing your “elevator pitch.” Consider making a video and telling the world who you are. It is easier for someone to know who you are in action than by a static twitter avatar. 😉 If you are live blogging, prepare ahead of time. Check all your gear that your are taking like tablets (charged), camera gear (charged & all-together), etc. Backup your laptop before you travel. Spend some quality time with your family before you leave for the conference. They are your BIGGEST fans! 4. PACK. After checking out agenda, pack accordingly. Always bring a sweater or jacket. Conference rooms can sometimes be chilly. If you are sharing a room with someone, remember not to pack too much, so they have space in the room. Don’t forget those nice business cards that you just bought. Consider an extra batteries or power supplies you might want to have on hand. Strong branding is critical in our cluttered world. After all, you want to ensure that you’re the first resource and name in your niche that comes to readers’ minds. 1. Use your own words. Develop an “elevator pitch,” usually a few sentences. Be yourself. 2. Associate yourself with other brands. Find brands and people who similar to you. Don’t sell yourself short or lose sight of who you in partnerships. 3. Use the same avatar across all social platforms. Consolidate. Too many images of a brand can confuse audience. Choose a pick that represents you and use it on ever line of communication. By the way, make sure it is a professional shot. 4. Good grooming is essential. Remember that once you step out that door, you are representing your brand. Make an effort in your appearance. Stand up straight with confidence. Be positive and kind. I’ve been working with a designer on a new blog design earlier this month. I had no idea all that goes into design, and I am sooo thankful and blessed to have Shauna as a designer. I have absolutely no idea what I really want, I just know what I hate when I see it. 😉 I just know that it is time for an updated authentic and stylish look in the ever-changing technological environment that surrounds us. With the changing look, there will be other changes with Real Posh Mom. First being guest posts. In the 5+ years of writing, I have met many Real Posh Moms around the world, and I believe their knowledge of food, fashion and family will be beneficial to y’all. If you would like to contribute, feel free to send me an email, and I’d love for you to be a part of the relaunch. I am trying my best to integrate communications through all my social network channels seamlessly, so you can find my Youtube videos easily and see what I pinned lately. In the end, my hopes are my website will not only be more attractive but easier to navigate and highlight content you weren’t aware I had. This blog post does not constitute legal advice. 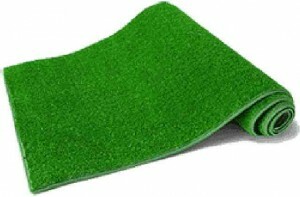 After reading article on Social Fresh’s blog called, “What the heck is astroturfing and why it matters to your business,” it made me think. I would like to set the record straight in particular with regards to what is astroturfing on personal and business blogs. In 1980, the Federal Trade Commission (FTC) published “the Guides,” a set of guidelines that establish what is and isn’t astroturfing. The guides were updated in 2009 and demonstrated in the Reverb Communications case. It’s simple, individuals that work for the company are expected to disclose that affiliation in online communications. In 2009, new astroturfing regulations requiring anyone writing about a product or service online to disclose any financial connection to the readers, were passed. Astroturfing laws have led most legal departments to establish policies – as recommended by the FTC – to identify yourself online and ask bloggers that have received gifts or reimbursement to disclose it. Some companies may not tell you to do this while other will insist and monitor that you. Bloggers, who receive free products in order to review them, should disclose gifts to your readers. Journalists should be required by their employers to return products after a review is completed. Analysts should disclose paid arrangements with the companies that they cover to their readers. Employees who tweet, blog or post in forums on topics related to their work should disclose their affiliation with the company. Marketing professionals should make sure all communications are clearly identified as coming from a company representative. Sorry to get so technical and detailed here, but lately bloggers and other online media have come under fire. Unfortunately, there are the few who are giving the whole a bad reputation. My advice to you is if you have receive any compensation (monetarily, materially, etc. ), be transparent and tell. If you are unsure, you should just disclose. It is better to be authentic and honest, then have to get caught and try to get back to your reputation. 1. There is a lot in a name. The first things that I would do is to figure out a name, your alter ego. I would go to godaddy.com and type in the name. If it is not available, then I would move to another name until you find one that is “available.” Put thought into your blog name. You will care this in real life and online. Next step is to “invest” in the name. By that, I mean, you pay $15 or so for the domain name through godaddy.com. If you want to get “social,” create a twitter account with that exact same name. Do the same with a Facebook page (but I wouldn’t spend too much time on Facebook), it is a bit archaic and hard to reach everyone with how Facebook has set up pages. Also do this with Pinterest, Instagram and YouTube, if you are interested in vlogging (video blogging). Make sure you understand this niche. Best way to do this is google it. Click on the images. Do this images excite you? Or these images familiar to you? Are some of these images yours? If you said “YES!” to any one of these, then you know your niche. Decide what you want your image to be. Get a headshot that looks professional. Think about the colors you want to use on your blog. Figure out what your “elevator pitch” is to others who ask about what your blog is about. This should be no longer than two sentences. This may take some time, but you need to understand this before you move on. It will help you in the long run. 4. Hire a blog designer. This is sooo important! This is also an investment, but you will thank me later. Ask around for a blog designer. Word of mouth is great, especially in the web design industry. If you don’t know anyone to ask, look at the very bottom of your favorite blogs and see who they used to design their blog. Make sure to do this sooner than later. 5. Create a media kit. A media kit is pretty much a one page document with your picture, your logo or blog name with all your social channels. You also have a paragraph defining your niche and what makes you stand out from the rest. Use this kit to market yourself. I can tell you that this is my hardest task, but I can also tell you how successful I have been at putting myself out there to brands and people, and they have responded positively. 6. Make an editorial calendar. Now, this is where some bloggers differ in opinion, but I really think organization of thought on paper of what direction that you see your blog going is important. You don’t have to have all the details yet. Just know when you may start writing about Valentine’s Day, Summer activities and holiday meals. Plan it out because this will help strategically drive traffic to your site and help others if done on time, not last minutes. 7. Keep your blog clean. It is important that your blog is not cluttered. Don’t put too many buttons, ads or feeds on your blog where it begins to look like the Wall Street ticker. You don’t want to distract the reader from the reason they are coming to your blog, the content. Also, remember what you post is online forever, so spell check and reread your post before making it LIVE. I can sometimes rush to post, and I find silly errors. I need to be reminded of this too.